Harrow MS Therapy Centre holds events throughout the year for fundraising, awareness raising, promoting our therapies for multiple sclerosis, and — as a key part of our work — general socialising and community-building. Harrow branch of the MS Society has arranged a meeting on an issue of interest and importance to many people with MS. 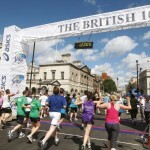 Calling all runners for the London British 10K London Run and cyclists for the Prudential RideLondon-Surrey 100 Ride. You are invited to participate in one (or both!) of these great fundraising events. Join us for another of our very popular quiz suppers — and once again, we’re having pizza! 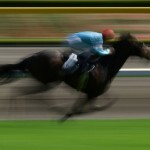 Join us for an evening at the races at The Pinner Arms on Whittington Way in Pinner — all the fun without any need to worry about the weather! Mali Larrington-Nelson is planning to travel from Stanmore to North Greenwich, tracing the path of the Jubilee Line, to raise money for the Centre. 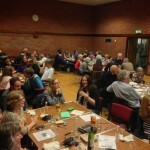 Join us once again for the bi-annual quiz supper in Pinner Village Hall.